We are happy to offer a Customer Service for Hospitality Diploma program designed specifically for clients with Autism, Aspergers and other Intellectual Disabilities. 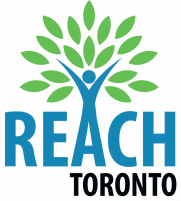 Along with New Opportunities Learning Centre, Reach Toronto Autism Services for Youth and Adults is able to offer this program through a modified admissions process. In addition to the modified admissions, our program is completely accommodated so that we can focus in on the obstacles faced by our clients with a spectrum disorder. In this program, students will learn the basics of customer service as it pertains to the hospitality industry, including recognizing problems, and solving them to the customer's satisfaction. It also will deal with the various employment opportunities in the hospitality industry and touch on the requirements for employment for each area. Customer service is about people skills, whether you are working on the front line of an organization or behind the scenes, customer service skills are necessary in providing external service to customers and internal customer service to colleagues and superiors. Our program offers a well rounded customer service program, but social skills and communication skills as well as workplace skills will be part of the curriculum. If you have a Mild Intellectual Disability and are thinking of Post-Secondary education but require accommodations, this program is for you. This program is identical in curriculum as our regular program but program length has been extended in order to offer the accommodations. Social and Communication skills will always be a focus in the ASD program. Graduates of the program will have the opportunity to be employed in a variety of hospitality environments both in front end and back end of hotels, tourism centres, tourism transportation services and restaurant/ food service industry to name a few.